The blockchain technology is the new revolutionary technology that is powering the success of cryptocurrencies such as Bitcoin and Ethereum. Despite this technology being the “new internet” as most financial experts like to describe it, its adoption among various users around the world has been slow. Here are 9 big obstacles to mass adoption of the blockchain technology. Most people find it difficult to grasp the concept of cryptocurrency and how it works. Asking them to understand the use of blockchain technology and apply it in their lives is simply adding salt to injury. Essentially, the innovative technology aims at eliminating the bottlenecks experienced with normal or fiat currencies such as strict central authority regulation and the unnecessary bureaucracy required when receiving money or making payments. The blockchain allows cryptocurrency users and investors to transact receipts and payments while digitally posting the ledger automatically. Since most people don’t understand how this works, they are skeptical about its use, making consumer adoption of blockchain difficult. Although change is as good as rest, accepting and embracing it is always not easy—humanly speaking. In every sphere of life, whether we agree or not, the idea of change irks most people. This is because we tend to be okay in our comfort zones and altering situations catapults us into the zone of fear of the unknown. The adoption of new technology is no exception. People are used to the idea of normal currency and fiat money, and the concept of digital currency is foreign and appears far-fetched. 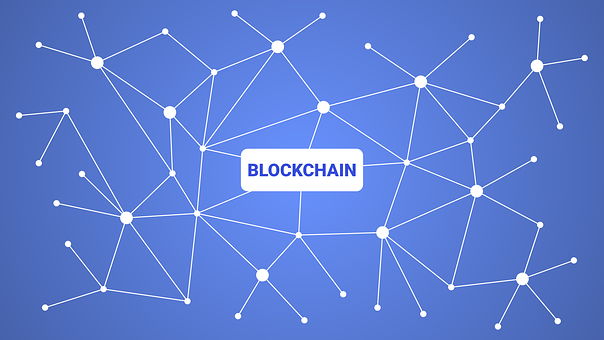 The blockchain technology and its benefits are yet to trickle down to entrepreneurs; with users yet to buy into its uncertain regulatory environment. Perhaps, a more established framework will help users to accept the innovative blockchain technology and the positive transformation it effects, such as transparency in transactions. This brings us to the next obstacle on what’s holding blockchain back from large scale adoption. The crypto space has the downside of non-regulation, at least for now; and this is a problem with skeptics who believe that digital currency is a bubble waiting to burst. This has reduced the blockchain adoption rate as users often cite absence of rules and guidelines, which make the digital currencies less risky to perform transactions. Folks fear losing their investments and they are less motivated to venture into pursuits with insufficient regulatory frameworks. Another barrier hindering blockchain technology diffusion is the lack of proper education on the groundbreaking technology. There has been a lot of unawareness and misinformation with most people thinking the technology is limited to cryptocurrencies and the financial sector. Entrepreneurs are oblivious of the fact that the blockchain technology cuts across various sectors—from medicine, agribusiness, and travel, and many others. Therefore, there is a need for proper education to help users adopt the use of this innovative technology in their day-to-day lives. The high cost of switching systems and setting up the blockchain is a significant obstacle to its extensive adoption. Customization of the blockchain needs to be done based on the type of business it will be applied to, which can lead to high setup costs, especially for smaller companies. Furthermore, training employees about the technology requires blockchain experts whose expertise comes at quite a price. Since they are few and their talent limited, the demand for their services outweighs their supply, which makes hiring them costly. Running blockchain systems consumes a significant amount of energy, which makes them unappealing for environmentally conscious users. Therefore, to expand the decentralization of the crypto networks, innovative ways that can enable the technology to run on renewable energy are required. If a solution is not found soon, it will hinder mass adoption as people settle for other energy-saving systems. Confirming transactions on a blockchain network usually takes some time—from a few seconds to hours. Since users have to wait for their transactions to be completed, the blockchain technology tends to fall short of expectations in the modern world where fast speed is highly prioritized. The blockchain technology is just about a decade old. Therefore, the blockchain adoption statistics is still low because most people perceive it to be fresh and immature. It is expected that the technology is yet to evolve before it becomes grounded and fully acceptable among the masses. However, despite the slow adoption, the technology is already causing ripples in different industries. Blockchain enthusiasts believe that it is already unsettling different sectors the way Netflix is transforming the movie industry and Uber the transport sector. Given time, this technology will get there. Different users have adopted the use of the blockchain technology via different paths. Since it lacks a universal use-case, extending its capabilities to allow for mass adoption becomes difficult. The blockchain is a wonderful technology that offers a promise of decentralization, security, and transparency for various sectors. However, the above-mentioned obstacles are preventing its mass adoption. If these hindrances can be surmounted, especially through proper education, it can lead to massive transformations and enhanced quality of service delivery. Do you know of other blockchain adoption challenges?